Select what is causing your dandruff, click to avoid any ingredients and click search. Do you know what is causing your dandruff? Do you wish to avoid any ingredients? That’s a hard question to answer Vinay as the frequency of shampooing is such a personal thing. The only advice I can give for now is follow the instructions on the various bottles and take it from there. Listen to your body though and build your own routine. That said, this is a great idea for an article in the future. Be sure to check back as I’ll have more guidance on this in the future. thank you Mr.chris for you advice. Have you reviewed the Kiehl’s Dandruff Shampoo? Hi Nel – I haven’t but it’s now on my to do list! I am a regular follower of your helpful reviews. I am a patient of SEBORRHEIC DERMATITIS ( NOT VERY SEVERE BUT YES, QUITE SERIOUS CONDITION.. I LOSE HAIR AT AN ALARMING RATE EVERYDAY AND MY CONDITION HAS BEEN DIAGONOSED AS SEBORRHEIC DERMATITIS BY ALL THE DERMATOLOGISTS )… Primarily I tried every medicine and medicated shampoos I have been prescribed. But all in vain. I never got to see any significant difference in my condition , moreover all the medicines and medicated shampoos stop working after a few days only.. I see no such difference even after changing my medicines.. Then I came to know seborrheic dermatitis cannot be cured but only controlled.. I started doing my own research after all these failed medical ventures… I stumbled upon your website… I follow it.. Can you please help me a bit ? ?… Right now Iam using an all natural shampoo which is made of these ingredients….. INGREDIENTS LIST :: PEPPERMINT OIL, BASIL OIL, ALMOND OIL, COCONUT OIL, GINGER JUICE, EXTRACT OF SHIKAKAI, BASIL & HIBISCUS,… COCONUT DERIVED- SODIUM COCOAMPHOACETATE, SODIUM COCOYL GLUTAMATE, SODIUM LAURYL GLUCOSE, COCO-GLUCOSIDE, GLYCERYL OLEATE, PURIFIED WATER, CITRIC ACID (CITRUS FRUITS DERIVED), VEGETABLE GLYCERIN, PHENOXYETHANOL.. 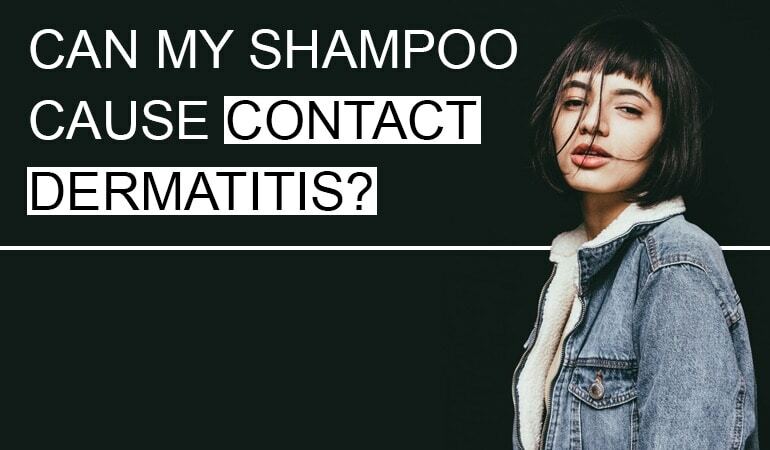 Does this shampoo contain any CONTACT ALLERGEN ?? I am not being able to decide how safe is it for me ? Have you tried this shampoo before? Does it work? The only thing I would be particularly wary of is the amount of fragrance potentially in there. Those essential oils tend to be fragrant! If you’re not allergic to fragrances then the rest looks pretty decent to be honest. Let me know if it works for you and I’d be delighted to review it!